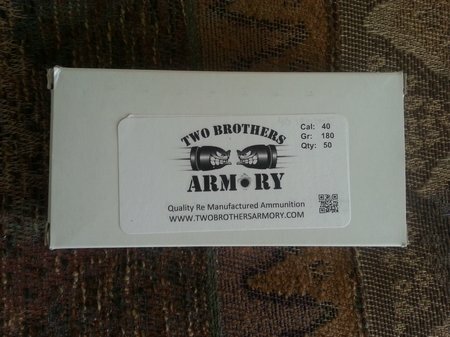 One of my all time favorites for 40 S&W ammo is Two Brothers Armory. 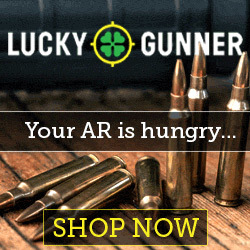 Great ammo, customer service and prices….oh and made in America. It’s remanufactured or reloaded ammo with all of the quality of new ammo…or better quality. Nice packaging and nickel brass. I love it!! Did I say “nice looking”? This is first class ammo. 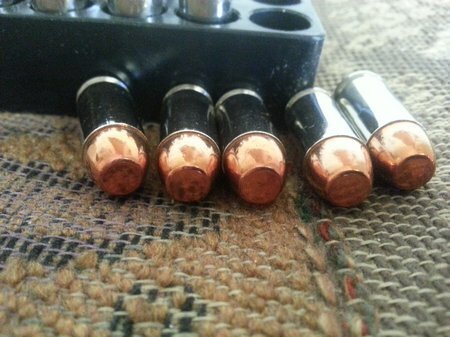 Perfect ammo by any standards. This is 180 grain 40 S&W ammo. 50 rounds from 10 yards with my Glock 22 Gen 4. Is it accurate ammo? Hell yes. Here are some fired cases from Two Brothers Armory. 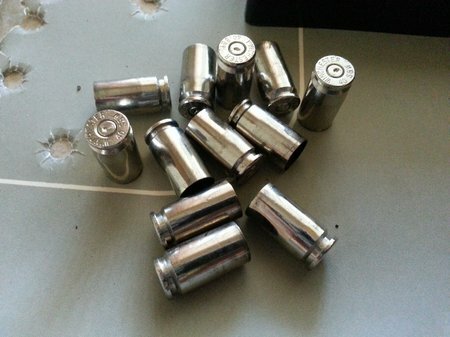 They look like they were polished and prepared for reloading but they’re not. These are off the floor at the indoor range where I shoot. Very clean shooting ammo. 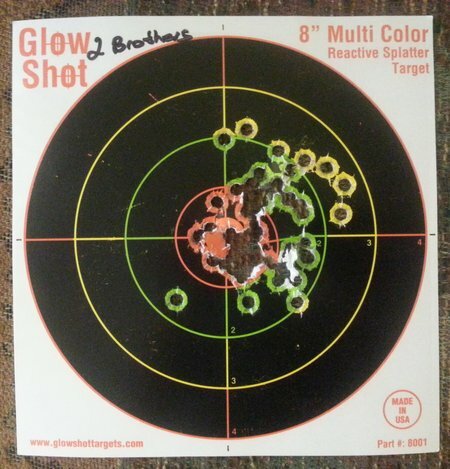 Here is another target using Two Brothers 40 S&W ammo. I was shooting my Hi Point 4095TS carbine. 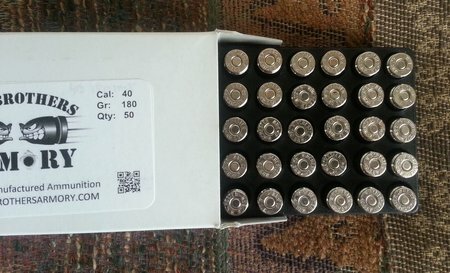 This ammo is sweet shooting. 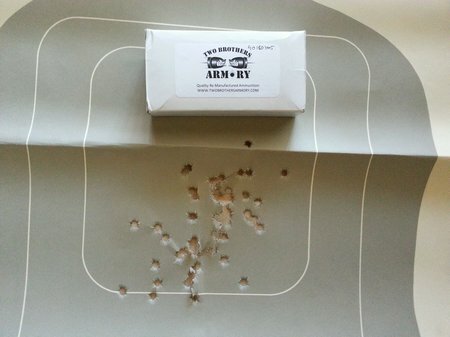 This is a 50 round group at an indoor range. I love this ammo! 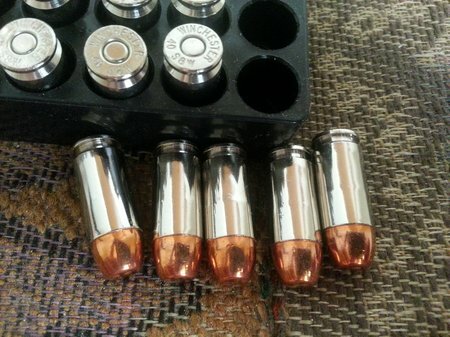 100% reliable, accurate and clean shooting ammo….and low cost.